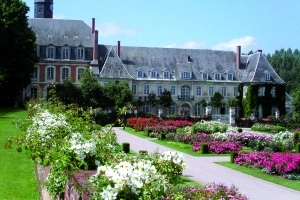 Picardy and Nord-Pas-de-Calais are a dream destination for those who love exploring French gardens of all styles and sizes. 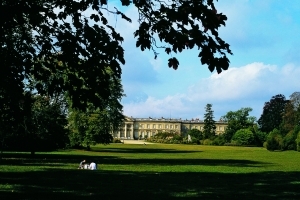 Easily accessible from the Channel, this region positively blooms with lovely gardens to visit, whatever your taste and predilections, whether it be world-famous château estates with something for all the family or tiny off-the-beaten-track spots where you may well have the place to yourselves. 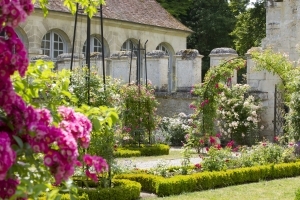 In the heart of the Authie Valley in the Somme, these delightful French gardens are wrapped around a magnificent Cistercian abbey with 12th-century origins. Over 20 glorious acres, you’ll discover around 2,000 species of roses and rare shrubs, many from Central Asia and the Far East. 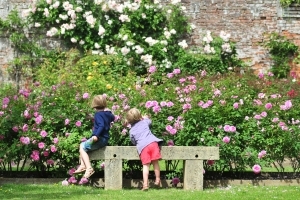 Perfect to discover as a couple, but also a great place for a family day out, with a ‘five senses’ garden. Featuring among ‘France’s Most Beautiful Villages’, Gerberoy is a wonderfully preserved medieval village with quaint tea rooms and intimate art galleries. 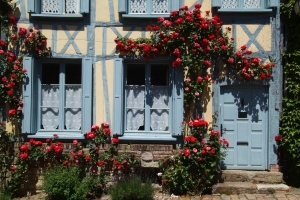 It is also one of the best places to see Picardy’s famous roses in bloom, all along its cobbled streets and over its gorgeous half-timbered houses. 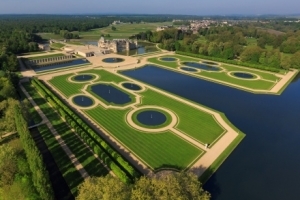 Magnificent in its own right, the Duc de Condé’s castle at Chantilly nestles in vast parkland that contains three incredible gardens, each a testament to its time: André Le Nôtre’s 17th-century French-style garden, an 18th-century Anglo-Chinese garden, and a 19th-century English garden. French-Dutch post-Impressionst painter André van Beek grew up, in the village of Saint-Paul in the Oise close to Beauvais. Now the artist’s main source of inspiration, this romantic spot has been skilfully arranged by the artist to take full advantage of the morning light. 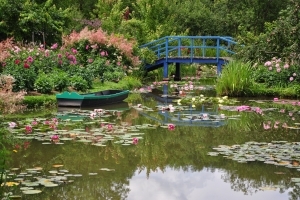 A colourful riot of dahlias, water lilies, hydrangeas and roses planted amidst ponds, placid streams and gentle waterfalls await visitors to the garden where An intimate rose garden on the fringes of the Ermenonville Forest, enclosed by hedges and a crenelated wall by Italian Mannerist architect Sebastiano Serlio – part of the Cistercian abbey the ruins of which you can also wander around. Only 60 kilometres from central Paris there is also an intact chapel housing remarkable examples of Italian Renaissance art. Arranged over a series of Italian-inspired terraces visible from Gerberoy’s ramparts, this magical garden lies within the parameters of the old castle in the heart of the Oise village known for its roses (see above). Created by post-Impressionist painter Henri Le Sidaner – a friend and contemporary of Monet and a fellow plant-lover – the Jardins feature 4000m2 of gardens and groves in an array of styles. Part of the royal residence built for Louis XV, this 70-acre park opens out onto the vast Compiègne Forest, beloved of royals for hunting and now popular for its walking trails. Conceived for Napoléon I by architect Louis-Martin Berthault in the early 19th century, on the site of an earlier French-style garden, it includes a rose garden and some copper beeches that were planted under Napoléon III. Classified as an historic monument, this romantic landscaped and wooded park in the Somme region to the west of Amiens was planted in the 17th century around a distinctive medieval castle that lays claim to being one of the first in Europe built almost wholly of bricks. In 2003, the park saw the addition of a now-famous rose garden featuring around 3,000 rose bushes. 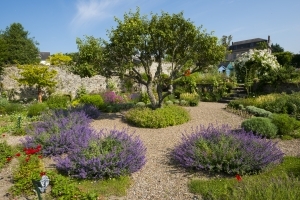 With an unparalleled setting on the battlements of the seaside town in the Somme Bay, this star-shaped herb garden occupies the site of a garden that was cultivated by Augustine nuns to heal the sick at the local hospital. 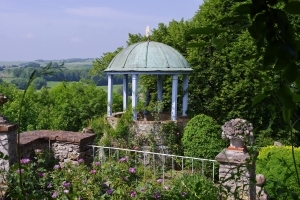 When restoration began, all that remained of the original garden was a single apple tree. 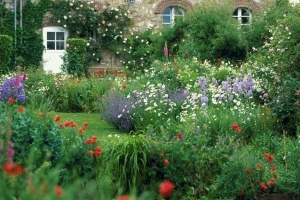 Today you can marvel at the rose arbour, the rockery and the aromatic plants. Visit this hidden secret just off the Champagne trail.